VERMILION CLIFFS, Ariz. – There is nothing quite as iconic in the western United States as a California Condor soaring over the red-rock-canyon landscapes of northern Arizona and southern Utah. 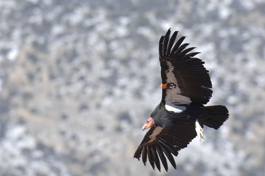 Thanks to people working together to recover this species, condors have become a fixture in southwestern skies. On National Public Lands day this year, the public is invited to join the recovery effort by witnessing first-hand a spectacular release into the wild of several captive-bred young condors.